Why Best Value? We've hand picked the styles we feel are the best bang for your buck. Some are just a great deal for the style, others are of a higher quality than you would normally get for the same price. Save some dough, get some nice locks. 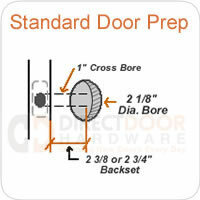 We're just trying to help you find a good deal on your door hardware, that's all.